Don't get cuaght with your pants down! 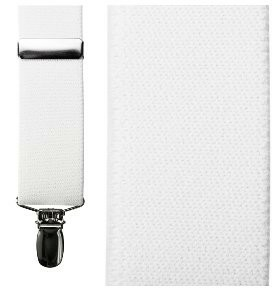 Adjustable Tuxedo Suspendersin white. Premium ribbed white elastic in 1 1/4" width. Silver hardware. Stainless clips and adjuster slides. Adjustable Suspenders. 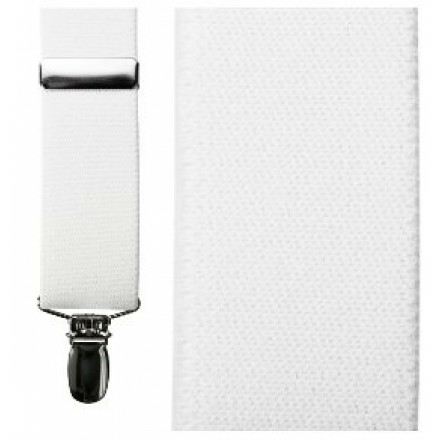 Premium ribbed white elastic in 1 1/4" width. Silver hardware. Stainless clips and adjuster slides.